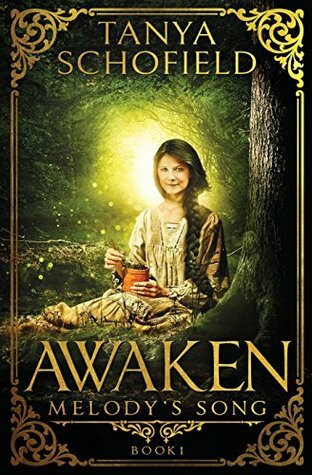 Melody has always lived a peaceful life, sheltered and protected by the few who know the truth about her past-- and about the danger that exists because of her growing magical abilities. Everything changes when an old friend arrives, and she is forced to flee a deadly attack. All she has ever known is thrown into turmoil, and she finds herself alone in a world she does not understand. Two brothers, Jovan and Kaeliph, are in the wrong place at the wrong time. They're framed for a crime they did not commit, and they only seal their fate as they make their escape. Believing the brothers murdered his son, a powerful Lord tasks his soldiers with hunting them. They are one step ahead of a death sentence when they meet Melody. The three young adults realize they are running from the same man, and only by sticking together do they have a chance. As they struggle to evade the Lord's minions, they learn of an ancient evil that is a threat to more than just them. It is a threat to the entire world. The Lord's hold over the land grows. There is no horror he and his men are unwilling to commit to achieve power. The long dead Lich King's shadow looms. The world teeters on the verge of terrible darkness, and the only thing that can save it is Melody's Song. This book is certainly has a unique story-line than you'd find in most fantasy books around these days. Certainly the characters are well placed and they also feel lively enough. It took me a while to get into the book but later on it turned out to be good. It's quite a long read, my kindle was showing 6+hrs considering I am a fast paced reader. The was a whole new world buildup and everything seemed to be placed nicely. Considering it as a 1st book in the series, it can surely be read as a stand alone as it has its own buildup, story, drama and other happenings. This is a good things as most of the time when the books are in the series they lack the actual story and merely end up creating the world which rather leaves you unsatisfied as a reader. But certainly this one had a lot of things happening and I really enjoyed throughout the book. As I mentioned before it had quite a unique story line from the on going trend of vampires, werewolves and sudden fantasy powers coming into people. It had a nice descriptions and though felt over at times and minor in some places but overall it was really good. I also liked the narration and the flow of story. The story telling was nice and also editing was good. I seldom comment on the book's way of formatting and editing but this one is something I liked. I hate the fact that book ended with a cliff hanger but you seriously can't help it if there's a sequel coming up. Well I'd be definitely eager to read the second part when it is released. I'd surely recommend this book to people who are looking for something unique to read. You need not be a fantasy lover to have this book. It has a fine balance overall and a nice story. Do subscribe to blog for more updates by clicking here! !